Last Sunday as you all know was mother’s day. It’s a bit of a tradition that I give my mum and nan, a pedicure on mother’s day and as my bump is now expanding at a rapid rate I thought it would be best to get their tootsies summer ready pronto while I can still reach their toes! I suprised them with an afternoon tea afterwards. 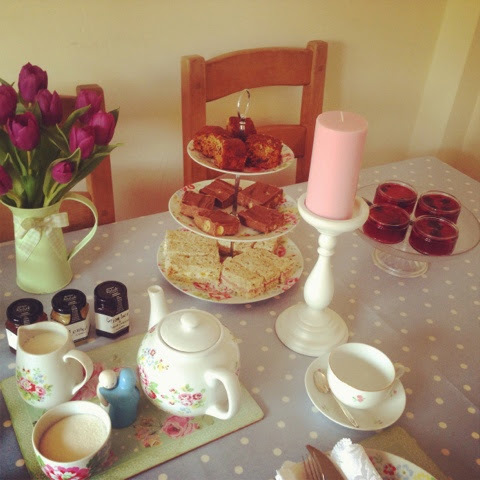 I also did the afternoon tea for Andy too (My step dad) I didn’t want to leave him out! Cake is his favourite thing after all. Every single thing was home made. I had a mammoth baking session on Saturday. It took all day and I must say it nearly killed me, I was pooped! I got out all my best china, Cath Kidston of course! 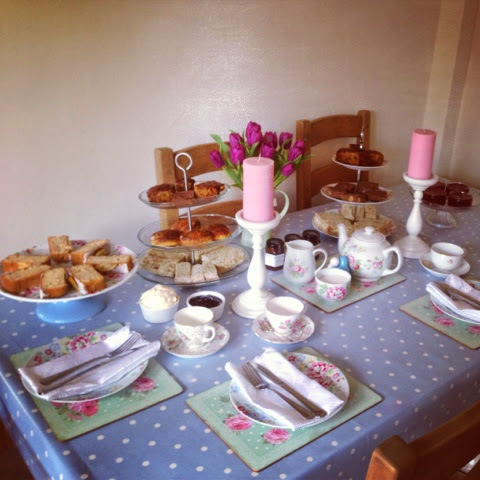 I erected my cake stands and carefully selected 4 of my favourite tea cups from my collection. The table was set. I made Fruit jellies, Date and walnut cake, Lemon drizzle cake, Scones with jam and clotted cream, Tiffin, Egg mayonnaise finger sandwiches, Lemon and basil chicken mayonnaise finger sandwiches and Ham and mustard mayonnaise finger sandwiches. 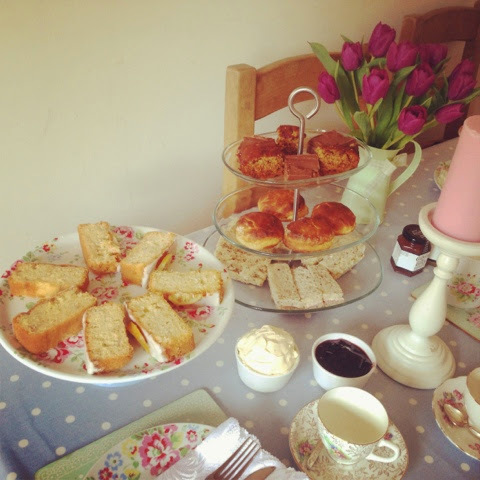 Both Mum and Nan had a lovely day and really enjoyed the afternoon tea so it was worth all the effort!